Stay alert and be safe this festive season. The No. 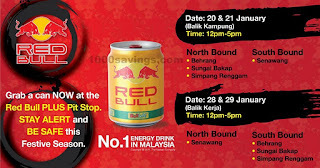 1 Energy Drink in Malaysia, RED BULL, wants everyone to be CUKUP BERTENAGA when balik kampung + balik kerja! 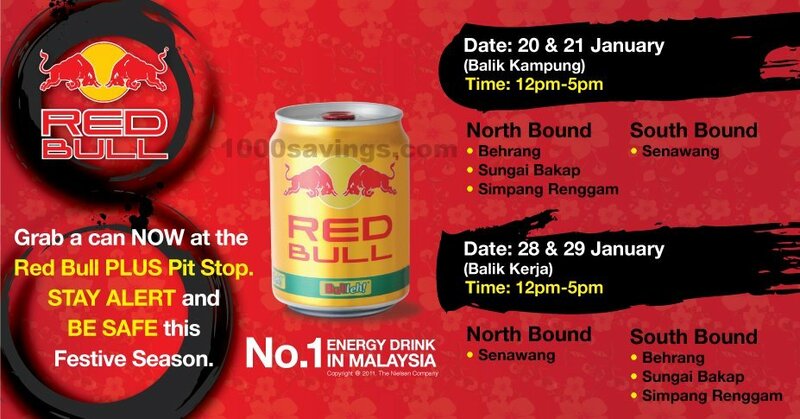 Do check out also PLUS Travel Time Advisory Schedule on the NORTH-SOUTH Express Way for 2012 Chinese New Year Holidays!